Simon Francis, founder of online laytime startup Falmor, and a former Levelseas man, brings our shipping/digitisation week of contributions to a close with this look at the nuanced role of the broker. Last week the shipping industry saw the announcement by BHP Billiton that the first online auction of a freight contract had been carried out – without the need/inclusion of a broker. 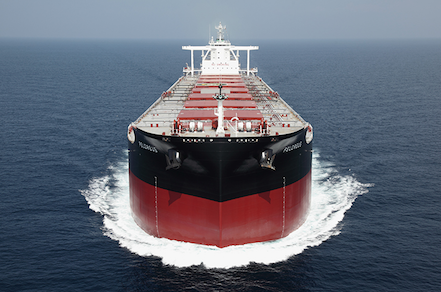 Owners were invited to offer their best price to ship a capesize shipment of iron ore from Australia to China. Contractural terms were stipulated beforehand and owners had to agree to these before offering. In essence there were only two contractural terms that owners were pricing themselves on in a bid to win the shipment. Freight rate and demurrage rate. They may have been able to offer with slightly different shipment dates (laycan) but the chances are, given logistical constraints at the busy ore load ports in West Australia that charterers would have been strict on their laycan. This type of ‘vanilla’ shipment is prevalent in the dry cargo world in the capesize sector. 90% of capesize cargoes are iron ore and 90% of all iron ore is shipped ex Brazil or Australia into China. Volumes are large – approximately 1bn tonnes per year – but the deal/fixture itself is ‘standard’ to the few charterers that control this business. Owners only really fix on ‘Rates’ + ‘Dates’ + ‘Demurrage’. The remainder of the contractural details – the charterparty – are preagreed/non-negotiable. It is therefore no surprise that a charterer, who controls, such a large proportion of this cargo flow is looking to increase their margins by cutting out the broker. The deal is so simple that the cost of the broker – 1.25% commission – is deemed not required by the charterer. And therein lies the threat for the broker. Where a shipping contract is a simple, vanilla type shipping contracts with few counterparties/owners on the other side of the deal has the potential to put this type of deal online and dealing direct with owners is ever increasing. However, shipping is not always that simple. Not all shipping trades are ‘vanilla’ trades. They are more complicated, have different options, terms and nuances. All of which have to be talked about, weighed up, negotiated and decided upon by the counterparts. This is where the broker earns his keep. He facilitates this process in a manner that an online auction or similar type online exchange type idea cannot necessarily accommodate. New exchange entrants to the market claim that all one has to do is to post one’s cargo or ship position onto their exchange and they’ll get a better deal than existing methods. Unfortunately for them, in my view, they haven’t necessarily fully understood the nuances of how owners and charterers operate. Shipping is a notoriously private business. No one wants others to know what they are doing. Charterers therefore do not want the market to know their real cargo requirements – why? Because if owners see that they need to ship five cargoes rather than one or two then owners immediately increase their rates. Conversely owners either don’t tell their counterparts all their fleet ‘open positions’ or they say they are seeing other cargoes from other charterers that ‘could’ suit them. In a market where it is difficult to see what is going on this means that the ‘call my bluff’ game happens consistently. Why? Because as one gets into the realms of smaller vessels where there are so many more options open to the owner in terms of what the vessel can carry, the charterer cannot see all the other cargoes being offered onto the market. As such the charterer does not necessarily know if the owner is really seeing other cargoes or not. A similar analogy is in the residential market. When one is looking to buy a property one is often faced with the estate agent saying ‘we have other interested parties’. This makes the buyer – if he wants the property – think that they might lose it if they don’t pay the ‘asking price’ or close to. Now whether the agent actually has another interested party is never necessarily known. It’s the same in shipping. A charterer will always say he’s seeing more vessels capable of transporting his cargo whilst an owner will always say he’s seeing more cargoes. In addition to the ‘private’ nature of shipping one has to add the dynamic that a lot of shipping contracts can be quite long and complicated. A good broker has the ability to bring the two counterparts together in agreeing all these terms. He/she can ‘persuade’ one counterpart to relent on certain contractural terms whilst advising on which terms to be firm on. He/she ‘massages’ the two parties together and ‘brokes’ the complexity and nuances of the ‘deal’. The human touch that an exchange can’t bring to the equation. So how much of the dry cargo market could be described as having ‘vanilla’ type trades? The simple answer to this is that the larger the vessel the more it deals in ‘vanilla’ type trades. In dry this covers the vast majority of the capesize market and a fair proportion of the panamax market. One could argue that these ‘markets’ could be assisted by an exchange of sorts but I believe we could see a scenario where the larger charterers adopt their own auction type platforms rather than post to a single one for all. Brokers could/would still be involved to find owners actually interested in the business but charterers will adapt to the way new technology can facilitate the process of fixing a vessel whilst also maintaining their ‘privacy’. Business practices are a changing. By how much technology will take over or compliment today’s method of doing business remains to be seen.